VR continues to, rather slowly, expand. 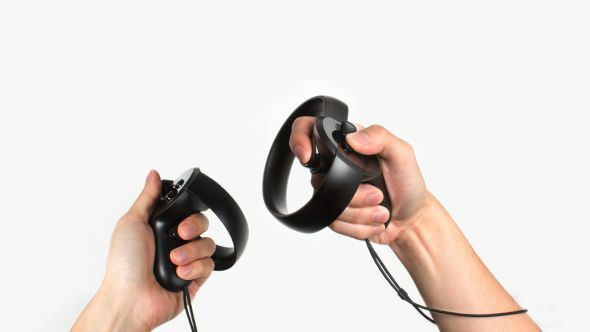 Oculus gets its, er, touch controllers with the launch of Oculus Touch on December 6. There will be 53 games ready to go on launch day, in part thanks to the Vive’s support of VR wavy handy things since its own release in April. It means there’s a big batch of Steam games ready to plug and play, along with Oculus’ own efforts via their store. We’d also recommend a bunch of the best VR games. Phwoar. Games, eh? It’ll set you back £189 in the land of tea, $199 over the other side of the pond. It doesn’t quite get you to the room-scale stuff Vive can do, but if you’re dropping this much money on experimental tech you probably own both anyway, eh?